Controls gingivitis: The astringent and antiseptic properties of HiOra-GA Gel address gingivitis of various etiologies. It is a hemostatic (stops bleeding) that prevents gum bleeding and helps in strengthening gums. The gel reduces gum inflammation, heals wounds, refreshes breath and kills bacteria in the oral cavity. Pain relief: Its natural ingredients act as an analgesic to reduce pain inside the mouth. 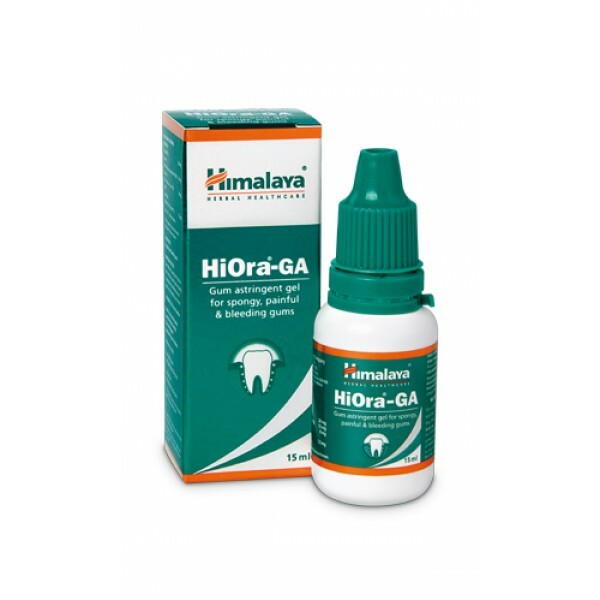 Periodontitis: HiOra-GA Gel inhibits matrix metalloproteinases induced tissue destruction, which is one of the predominant factors in periodontitis or gum disease. Triphala, a herbal remedy, inhibits bacterial growth on the surface of the teeth. A recent study has revealed that it could also be useful in root canal irrigation. Triphala inhibits tissue destruction that could eventually cause gum disease. Indian Kino Tree (Asana) has astringent and anti-inflammatory properties, which are helpful in relieving toothache and stopping gum bleeding. Take a small amount of the gel on the tip of your finger and gently massage over the affected area of the gums. Repeat application three to five times per day or as directed by the dentist or doctor.